Keep your home cool in summer and save energy in winter! But how can you get the most from your automatic sun blinds or room darkening blinds? 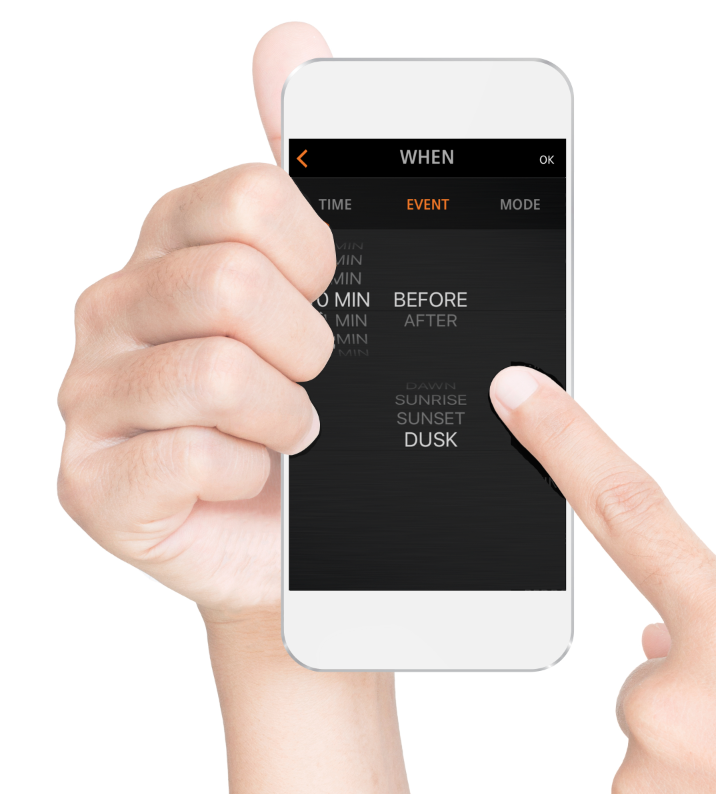 With ONE Smart Control you can control your blinds or shutters individually or in groups. You can adapt them to the angle of the sun, or even adjust your lights according to the level of the daylight. Just when you arrive at the office, a violent hailstorm erupts. Or the sun breaks through and its powerful rays threaten to transform your living room into a sauna. No problem: with your smartphone you can close the shutters remotely. On a bright sunny day, there is not only bright light shining into your living room – you can also turn down the heating by one degree or more. Or you can leave ONE Smart Control to decide. Thanks to a smart comfort sensor, your shutters will open and close to ensure the room is as comfortable as possible, including the heating. Do you want to close all the blinds at once when you go to sleep? Or operate them individually while you are working at your desk? No problem. You programme the system to darken the room in exactly the way that is most convenient. Weather forecasts are not always accurate. Yet, you may want to protect your home against heat, wind and rain damage. ONE Smart Control will notify you if a storm threatens to pass over your house. This allows you to take the necessary action. Nothing is as relaxing as enjoying the sunrise. But as soon as the bright sun rays shine on your computer, you may prefer to roll down the shutters a little. With the ONE Smart Control home automation system, with just one press of a button, you can control your blinds, Venetian blinds, awnings or shutters. It takes just a few minutes to programme this function on your app. The ‘sleep’ function doesn’t just switch off all the lights in the house. In addition to many other functions, you can programme it to fold in the awnings to protect them against wind and weather. Just one press of a button is all it takes.